Savoring God has, consistently, been one of Kathy's most popular books. Its many fans will be happy to know that now there's a second collection of meditations for "savoring God with all our senses." Prayer can easily involve the ordinary things that we use and come across in our everyday lives. As with the first Savoring God, these brief prayer exercises use all kinds of ordinary things to inspire prayer, from a photograph to a door; from a book to a needle and thread; from a hammer and nails to a seashell. 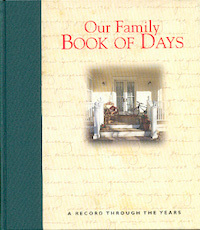 For each day of the year this beautifully book--available in either a hardback or paperback edirion--gives a list of holidays, holy days, and notable anniversaries, along with several empty lines to write in your own special events as they happen year after year. Prayer can easily involve the ordinary things that we use and come across in our everyday lives. Brief prayer exercises using all kinds of ordinary things, from car keys to tissues; from shoes to underwear; from a ring to a plant or flower. A close look at key skills needed by both partners to achieve a lasting marriage, complete with a list of helpful resources and reflection questions for couples and individuals. 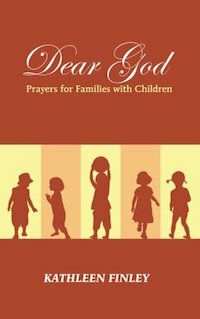 This easy-to-use book of prayers provides a much-needed resource for families who want to celebrate the everyday events of their lives. Dear God is the ideal way to involve parents, older siblings, grandparents, aunts, uncles, and others in the faith life of young children in their families. It holds the promise of a deeper relationship with God and those we love. Expecting and raising a new baby is an exciting time in life--one filled with hope, anxiety, optimism, and wonder. This collection of prayers for parents feeds the spiritual side of the prospect of imminent parenthood. This book contains a series of simple, kindly, and heartfelt prayers appropriate for all stages of a new child's life, from preconception until the first birthday.